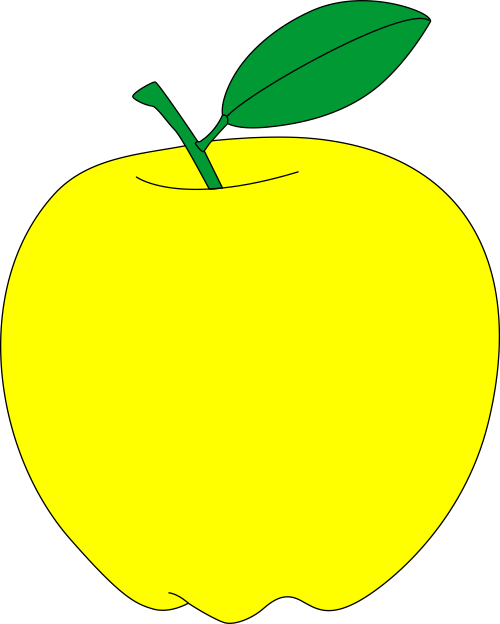 Are you looking for yellow apple with green leaf free vector clipart? Just, it is here. Save as... the picture or download the clipart in pdf vector format. We have also red and green cliparts of apples.